The water has an effect on me like no other environment. There’s an instant calm from the moment I jump in and take a dive beneath the surface. 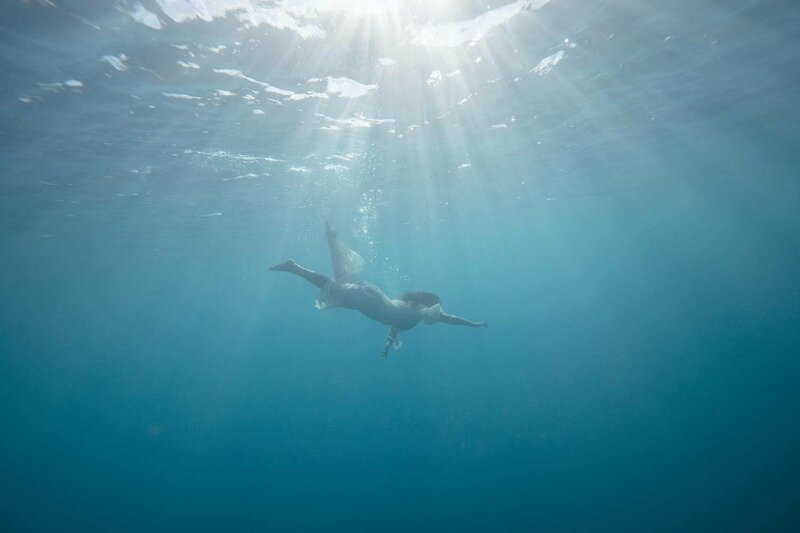 No noise, no crowds just a feeling of weightlessness in the waves. For the past six years I’ve been working as a professional underwater photographer however only to a depth where I could hold my breath unassisted. And I’m no free diver so we’re talking 3-4metres max! To finally do something about exploring more of the ocean, last month I flew to a little volcanic island off the coast of Morocco to get my Open Water Dive Certificate. Lanzarote is known to most as a British holiday haven, where all you can eat and drink restaurants lure groups looking to have a good time. My trip though had nothing to do with cocktails and deck chairs, it was all about what lies beneath the water. 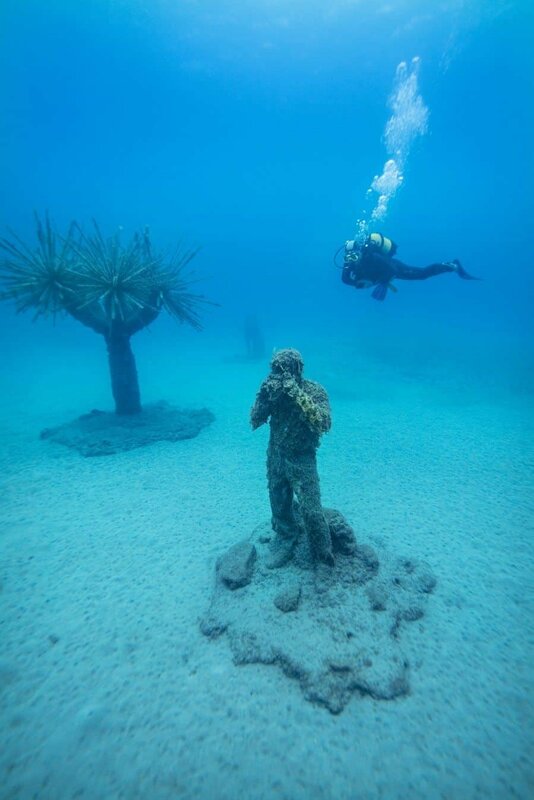 Just off the coast of Lanzarote are an incredible series of over 300 individual statues lathered in coral and sea grass. 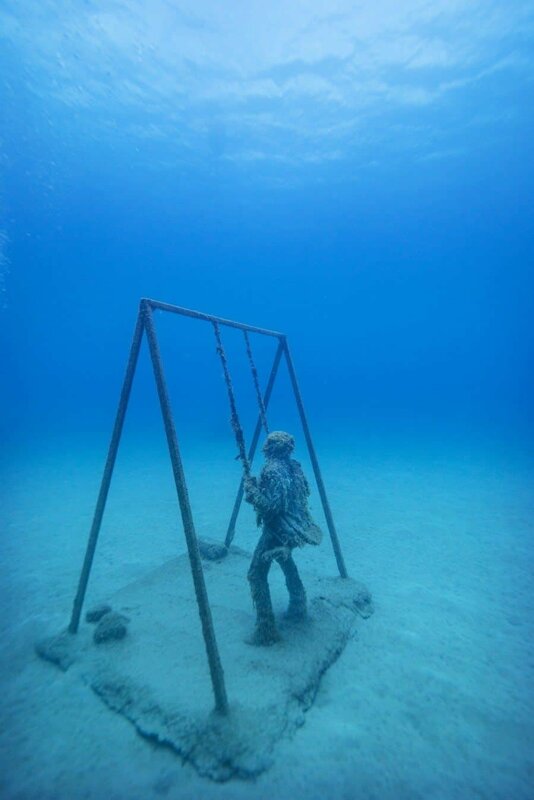 Created by British artist Jason deCaires Taylor, these underwater worlds are where art blends with nature, highlighting global issues in the process. 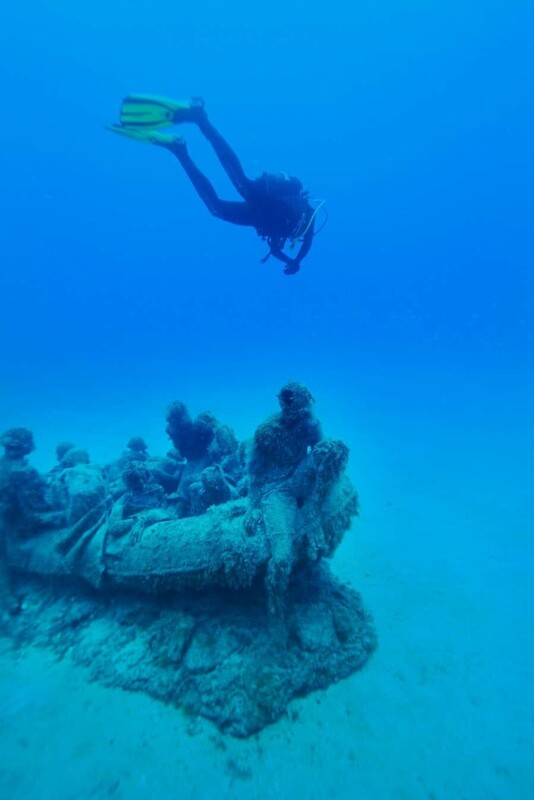 The concept that you have to put goggles on and dive beneath the surface to see the museum, means you’re really seeing it, not simply wandering through like any normal museum. I know I tend to roam museums staring at the walls, sometimes even just people watching but underwater, it’s just you and the museum in total silence. 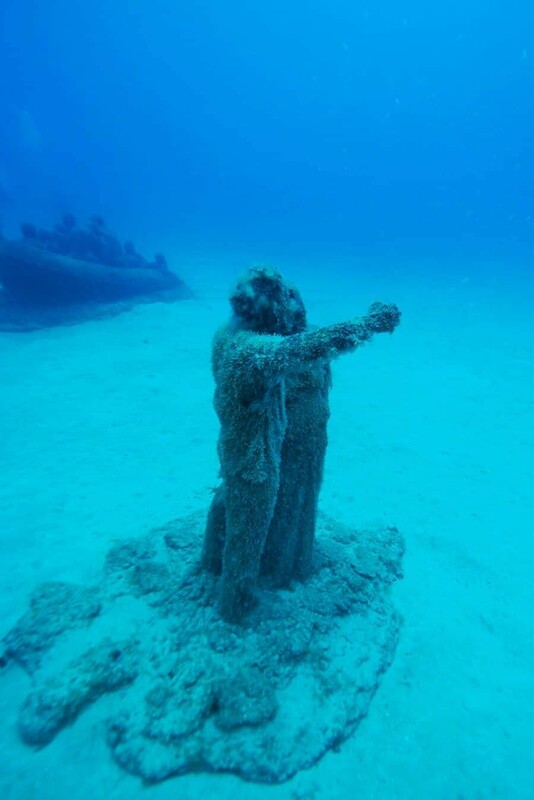 The statues have been on the ocean floor for a few months now and due to their high-density, PH-neutral concrete that has no impact on the marine ecosystem, they’re attracting marine life in huge numbers. 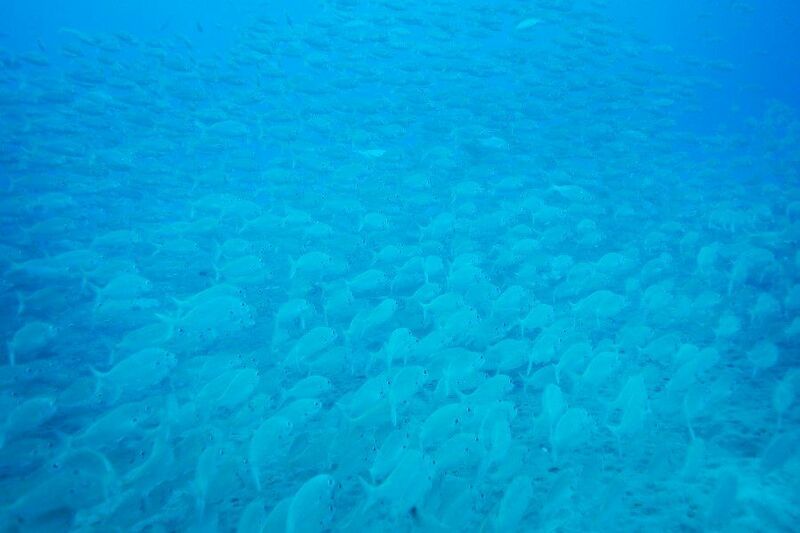 Schools of fish appear almost like a slow moving wall with eyes, there’s so many of them that it can be hard to tell what’s a fish and what’s not. 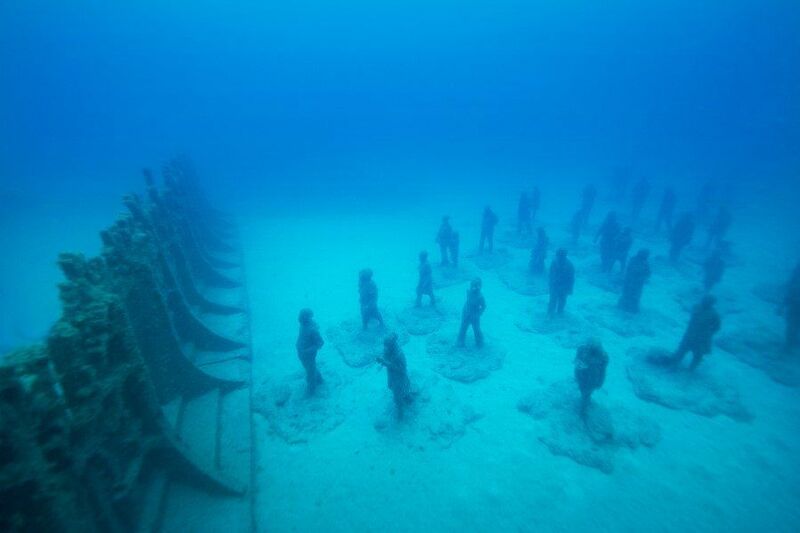 In order to reach the museum you need at least an Open Water Certificate to reach the 12-15metre depth of the statues. Some dive centres will allow you to do a guided test dive through the museum however because you aren’t certified it’s very rare you’ll be allowed to take your camera down. Because I wasn’t certified to visit the museum and of course wanted to take photos, first I spent 3 days obtaining my OWC at the Dive College Lanzarote. If you’re heading to Lanzarote, be sure to visit the team at the dive college, they’re so professional and patient, not to mention LOVE diving. 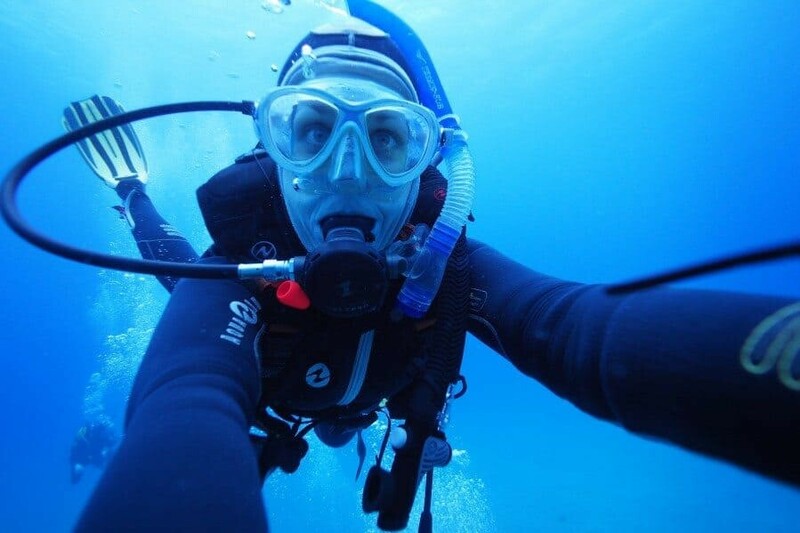 Having lived on the Great Barrier Reef of Australia for a few years, I had dived a little previously however never enough to get my certificate or be comfortable trusting myself to check my gear let alone know what to do in an emergency underwater. In three days I learnt how to remove my tank underwater (and safely put it back on), how to react if my air supply was turned off, broken or if your mask/goggles are removed. Let’s just say, removing the mask was my least favourite part of the course. I may have attempted to swallow the entire pool of water through my nose if that’s even possible. After a few attempts it became more comfortable but when I dive next I might just be taping it to my head…just incase. The course is actually quite intensive and there’s a lot of theory to do before you jump in the water which luckily I could do at home prior to arriving. As I said above, being in the water is where I’m most comfortable and I’m so excited to now be able to experience the world of diving. Once you get your head around the thought that you don’t actually need to surface to take a breath, the idea of diving hits home, it’s pretty cool to be a mermaid; with a giant tank on your back. Los Jolateros is the first exhibit in the museum and features a collection of small boats called ‘Jolateros’ with children inside, a reference to traditional local boats and a metaphor for the future of generation. ‘The Raft of Lampedusa’ represents sailors who were abandoned in a shipwreck off the coast of Senegal yet also depicts the current refugee crisis. One of the most poignant statues is ‘Disconnected’. It is a couple taking a selfie aimed to showcase the use of new technology and also attempting to encourage us to look within ourselves. 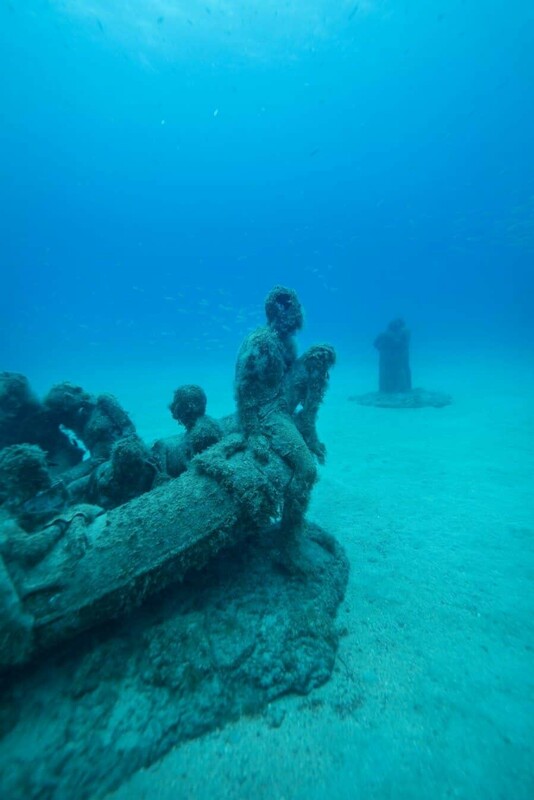 The statue is located beside ‘The Raft of Lampedusa’ so should the couple actually be taking a photo, they would have the raft in the background. This then highlights how documenting moments, tragic or otherwise has become quite the reality. Crossing the Rubicon in a way divides the museum with a 30m long and 4m high wall. 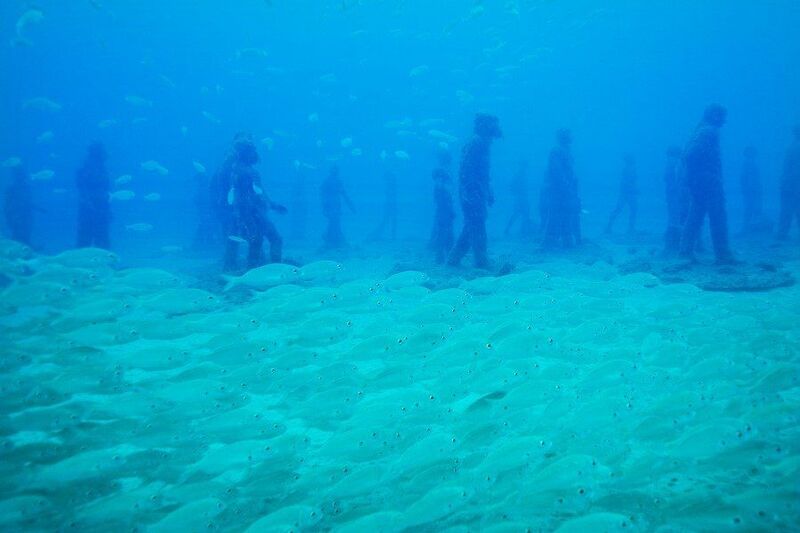 The feature shows a group of 35 people walking towards the underwater wall with just one door in the centre. Some statues are carrying mobile phones, appearing to walk forward whilst completely immersed looking at their phones as we all do now! It’s aimed to show that we cannot segregate the natural world, that it can be bypassed in any direction it’s just about seeing the potential. Deregulated is one of the last statues and displays an important message. With men in suits on children’s play equipment like a swing and a sea-saw, it’s demonstrating the arrogance and ignorance of the corporate world shown towards the natural. It really makes you think and is just a clever and innovative way to attract interest towards important issues. 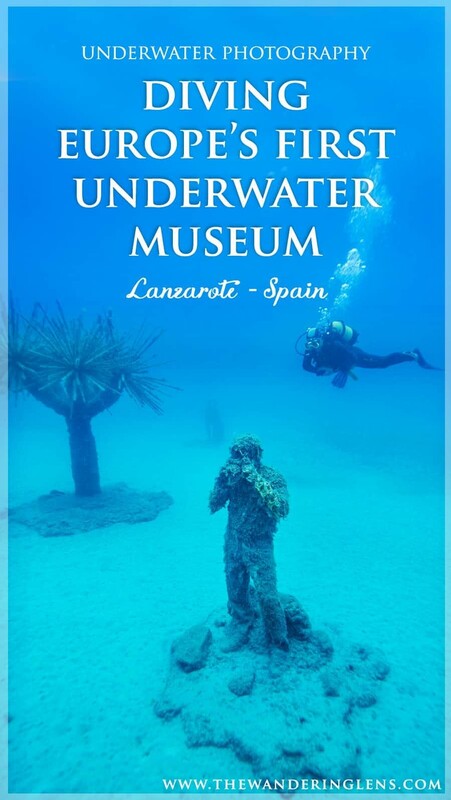 The whole reason I chose Lanzarote to get my dive certificate was so on the final dive, I could photograph the underwater museum. It was one of those weird obsessions where all you can think about is taking photos in that exact location. I researched the museum, the statues and other people’s photos in an attempt to put together some kind of idea as to how I would capture it. Spoiler alert, everything changes once you’re down there. 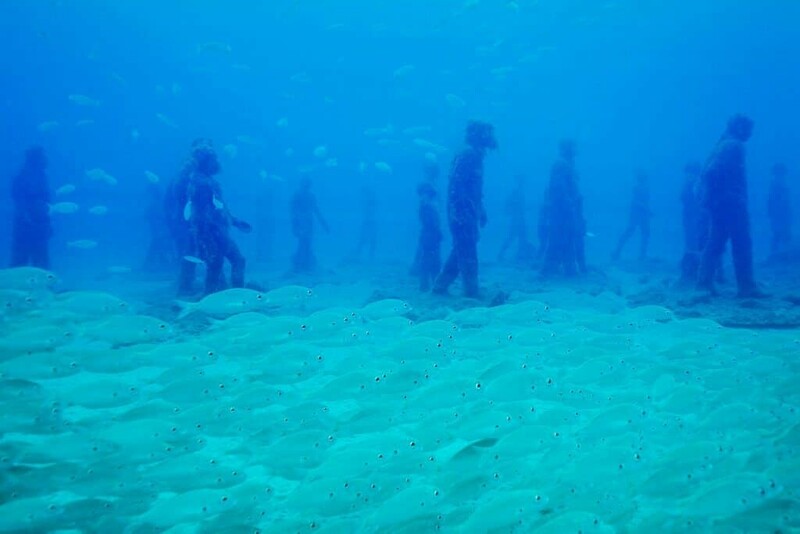 The fact that statues suddenly appear in the blue abyss is one thing, let alone that you have to concentrate on actually breathing! I guess it was that I still technically was learning to dive, but I was so excited and so overwhelmed that photos almost became a second thought. I snapped photos like a crazed tourist through the museum but any previous idea of composition I’d planned went out the window. The museum changes in appearance as you swim through it, fish coming and going, divers entering your shot and of course the light playing a big part in your images. The day I dived the museum was unfortunately rather cloudy so beautiful sparkling light wasn’t there to work with, luckily though, the sea was very clear! Also, on the 10minute boat ride back to the dive centre guess what appeared; the sun, for the rest of the afternoon of course. Ha! 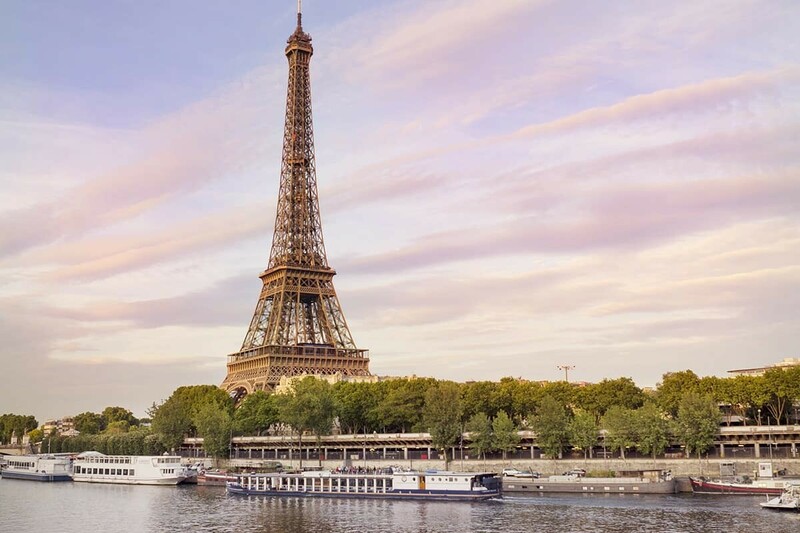 The museum is designed like any museum inside a building above the water. It has a plan that you follow from start to finish, you enter through a ‘door’ and then weave through the museum looking at each exhibit. In terms of what gear to take, I took down my Olympus underwater housing with my Olympus OM-D E-M1 Mark II and M.Zuiko 7-14mm 2.8 lens safely inside. It worked like a dream and despite me being worried it would affect my buoyancy, luckily it had no impact and just bobbed around with me. You can take down a smaller camera like a GoPro but the colours won’t turn out the same nor will the file quality be good enough to edit afterwards especially if you’re looking to print at a large size. 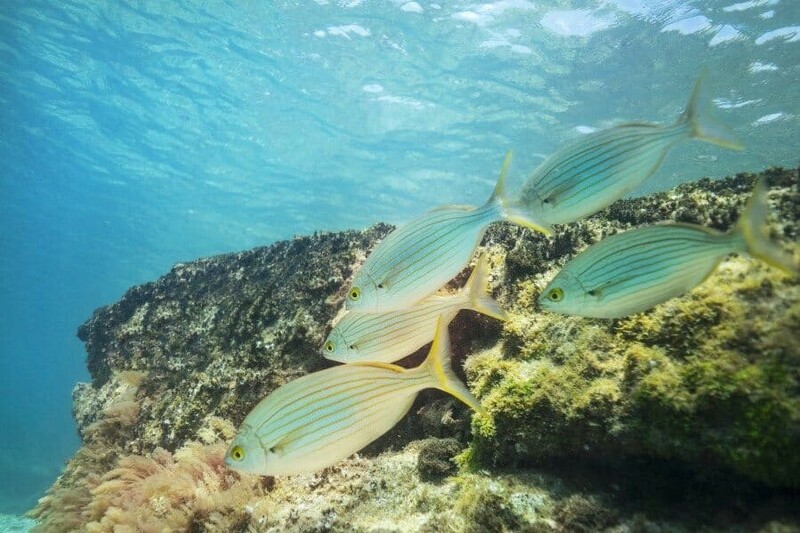 Having a camera with RAW file abilities is definitely your best option when shooting underwater photos. 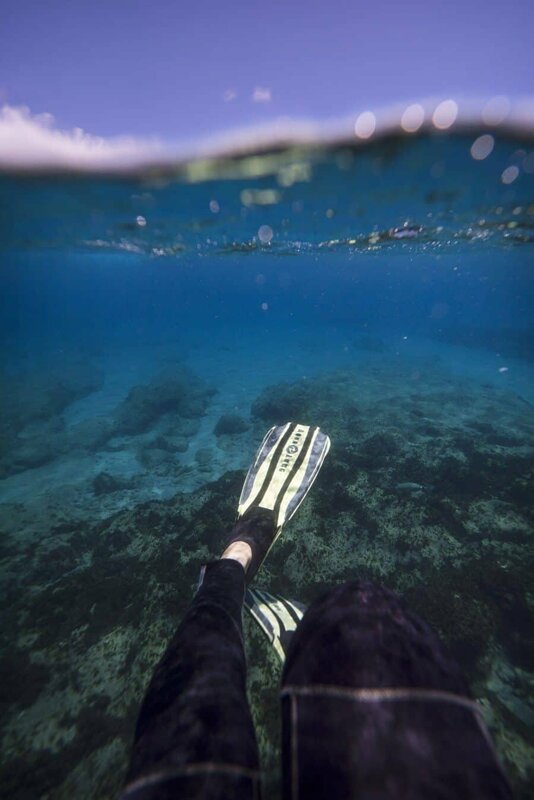 More on how to take underwater photos here and here if you’re interested. 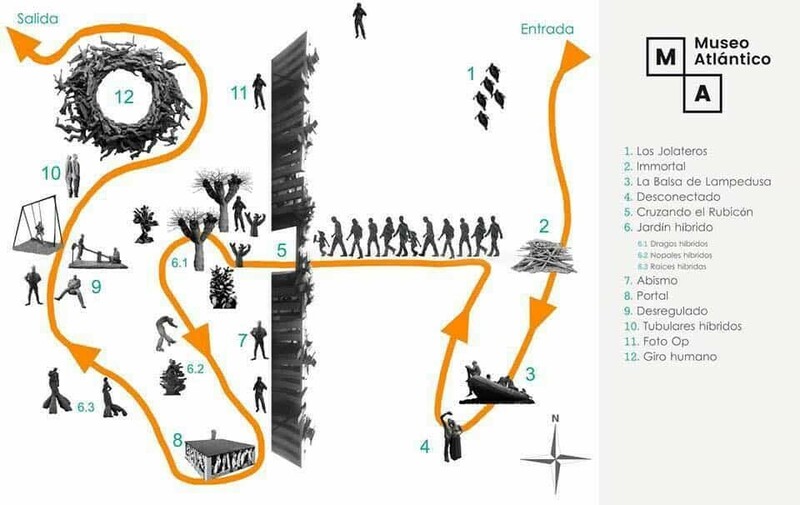 Where is the Museum Atlantico? 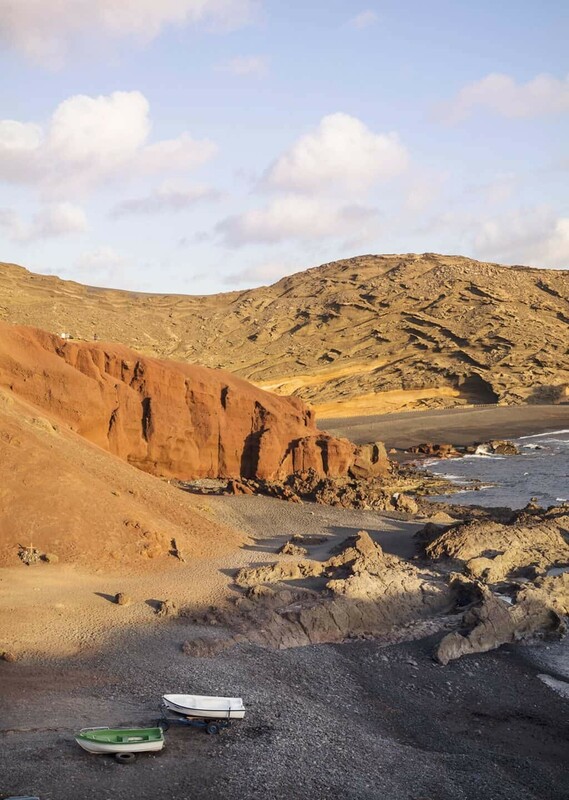 You’ll find it off the coast of Playa Blanca on the island of Lanzarote, Spain. Part of the Canary Island’s which are nice and easy to access from the UK with Easy Jet and Ryanair offering regular flights. 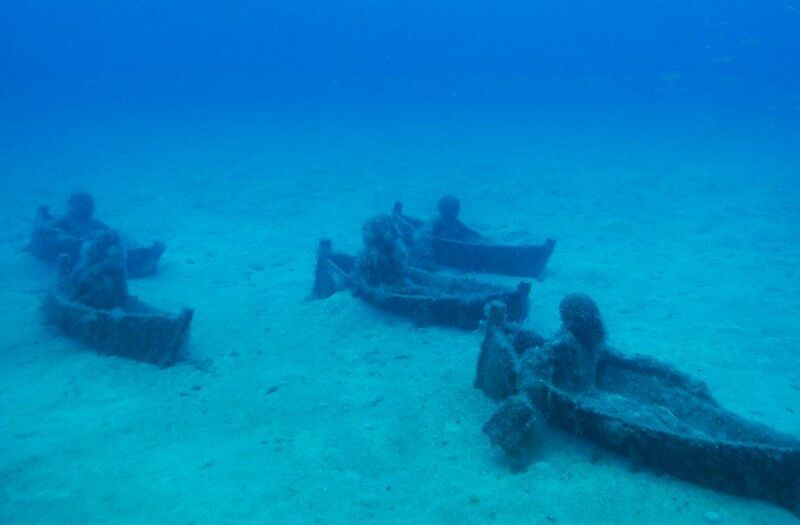 The museum site is located about 40m off the coast just in front of the Marina Rubicon. You can’t access without permission and a patrol boat is present above where you have to check-in before your dive. 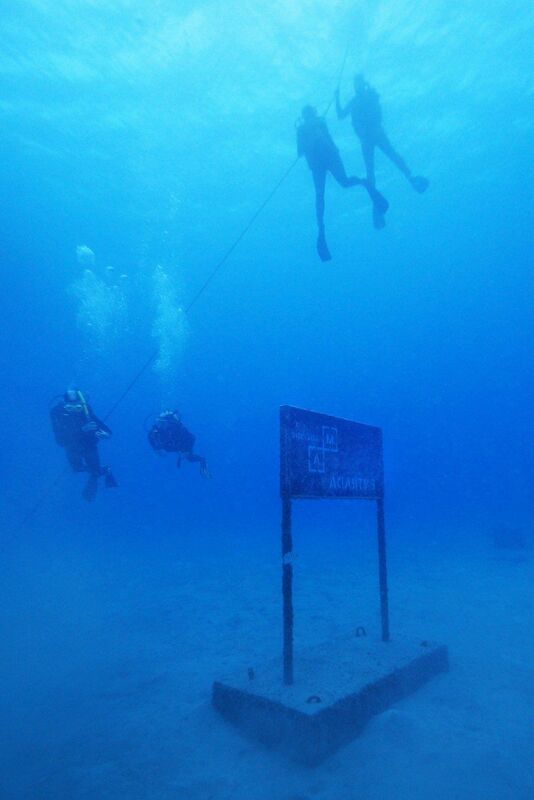 If you’re diving with a local dive centre they will of course take care of the permission and check-in process. Dive College Lanzarote are who I dived with and you’ll find more information available about the museum and courses on their website here. Funny you mentioned that part at the end about photos almost being an after thought, because the whole time I was reading this I was wondering how in the world you were able to concentrate on taking such great photos on one of your VERY FIRST DIVES! I mean, I would have just been trying to stay alive. Forget anything else! 🙂 You’re a rockstar, Lisa! Wow, this is so cool! I love all of the photos you were able to capture underwater. This is such a unique experience! This I like. Love the underwater world such a unique place. Great photos.